Mobile Muscle Therapy was established by Steve Yeomans, a qualified Sports Therapist – Steve has over 20 years experience in both teaching and treating sport therapy. 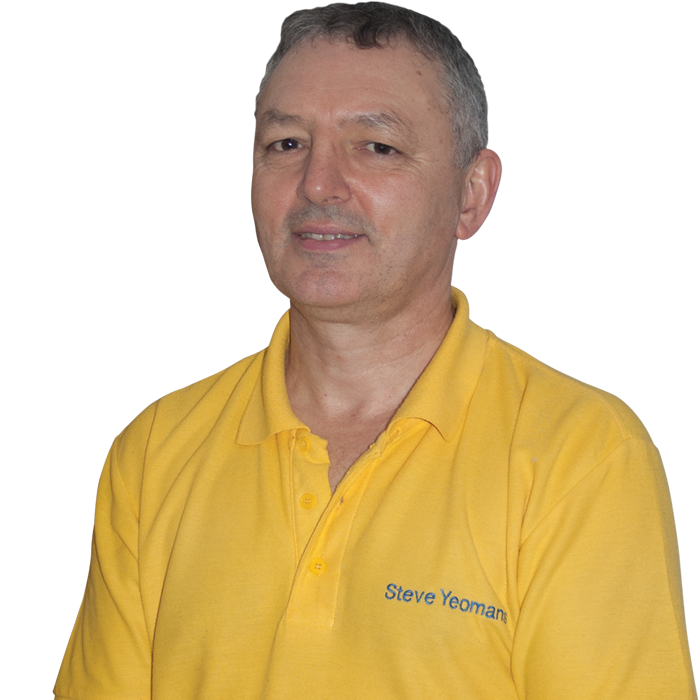 Steve is dedicated to identifying the cause of your problem and treating you thoroughly with his specialist knowledge. Mobile Muscle Therapy treats all muscular sports injuries, back & neck pain and can provide pre & post-event rehabilitation – we can also advise on training & injury prevention. An initial assessment will help determine the cause of the pain and the appropriate treatment. Sports Therapy is a manual therapy that is used to treat musculoskeletal issues. A Sports Therapist is registered and insured to carry out treatments not only in a sports area but also with more general muscular issues. A Sports Therapist will use a number of different modalities including, sports massage, muscle energy techniques, trigger point therapy, taping, and electrotherapy. Mobile Muscle Therapy’s aim is Prevention, Recovery and Increased Performance. Prevention – you don’t have to wait until you are injured to seek treatment. Regular treatment enables the therapist to work with the client to prevent injuries from occurring. Recovery – Once injured, regular treatment can enable the client to return to their chosen sport or place of work sooner. Increased Performance – Through regular treatment performance on the track, field or place of work is increased. Mobile Muscle Therapy offers a range of massage and stretching techniques to treat everyday and sporting muscular issues. Steve Yeomans M.F.H.T. is a qualified Sports Therapist with over 20 years experience treating muscular sports injuries and providing soft tissue manipulation. We listen to our clients – we will take time to discuss your injury and what problems you are encountering, your current exercise regime and training plan. By thoroughly listening we can create a personal profile that will aid diagnosis. During your initial consultation we will look closely at your posture, how you move and walk and will discuss your problems and injury in depth – by analysing all this information we can understand your problem and propose an appropriate treatment plan. By listening to you and close analysis of you we can advise on the best solution that will provide the most effective result – we will explain the diagnosis and advise an appropriate treatment plan that that will be specific for your needs. Relieving your pain – regaining your potential.